HACKtheMACHINE seeks to court non-traditional organizations to help solve Navy problems. (U.S. Air Force photo by Maj. Jon Quinlan). For the military to maintain its combat edge, the Department of Defense needs to move away from the hardware-centric, industrial age paradigm of years past and embrace frenzied software development, a Navy leader said. One way to solve that problem is HACKtheMACHINE, which aims to work with and introduce so-called non-traditional organizations to “cool” Navy problems in the hopes of inspiring talented developers to work with the service. Selby spoke with C4ISRNET the morning before the fourth iteration of HACKtheMACHINE in Seattle from Sept. 21-23. 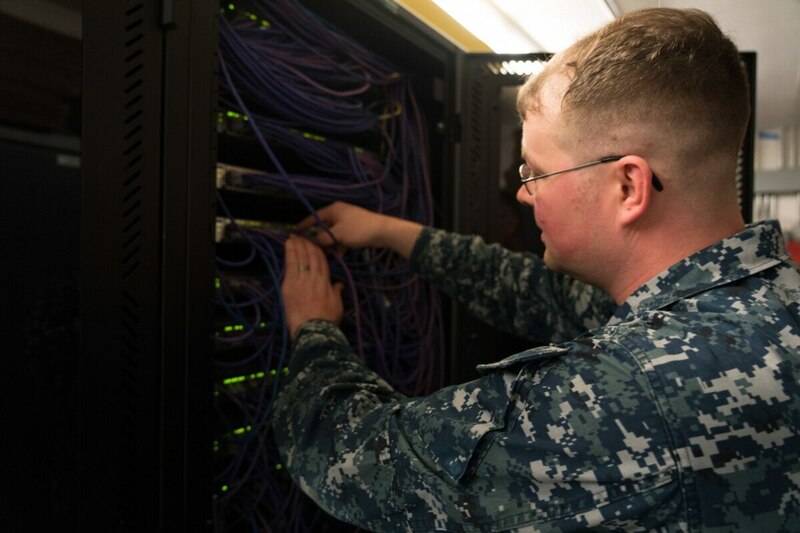 Through the Hack the Machine initiative, the Navy is looking to court nontraditional talent to get at some of the Navy's most difficult cyber and technology problems. What’s different about this iteration of the program is the number of participants from the private sector (550 compared to around 500 from the last event in Boston), the problem sets the Navy is using for the event and the number of program communities from the Navy participating. The problems the Navy presented in the early versions of HACKtheMACHINE were abstractions of Navy problems, Zac Staples, founder & CEO of Fathom5, an industrial cybersecurity company focused on the maritime industry, rather than the true problem. “The maturity that we’ve got with HACKtheMACHINE this year that makes it special is that we have a major program manager sponsoring each one of the three tracks,” Staples, who formerly was the director of the Center for Cyber Warfare at the Naval Postgraduate School and co-creator of HACKtheMACHINE, told C4ISRNET. - a DevOps and app development track in which the Navy can learn how to replicate lessons from companies for agile development in programs such as Consolidated Afloat Networks and Enterprise Services. The Navy hopes to learn from the event and use it as a recruiting tool for sailors in an software-centric environment. Selby said last year during HACKtheMACHINE in Boston, the Navy learned much about its own data by observing a data science track. Then, Navy leaders recognized that the refresh rate of its data was not fast enough. The event wrapped up as the Pentagon released a new DoD cyber strategy that discusses the need to work with industry in non-traditional methods in crowdsourcing and vulnerability detection.